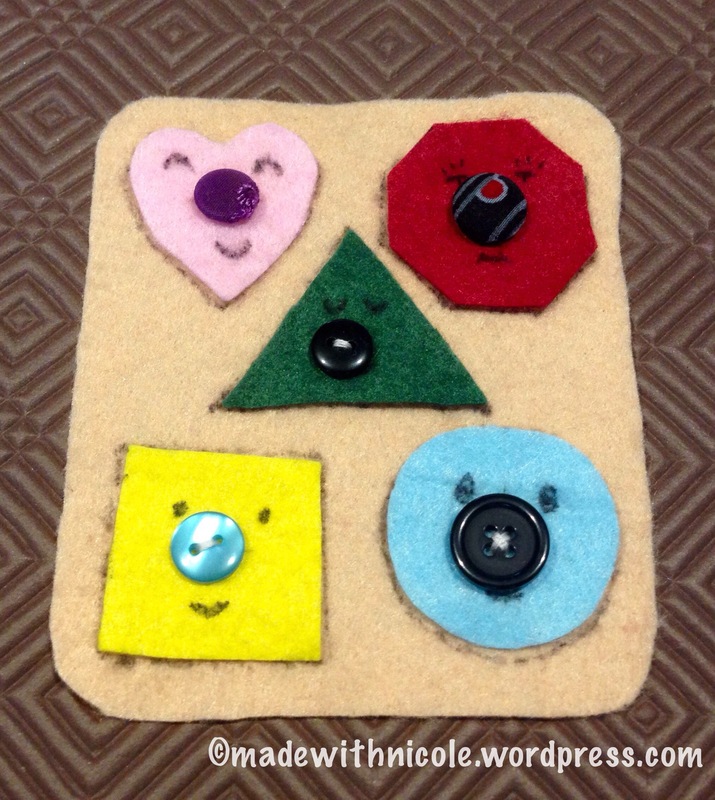 Keep the kids entertained with ‘Felt Pocket’ activities. These 3 games fit into one small pocket sized bag and would be a good travel activity. 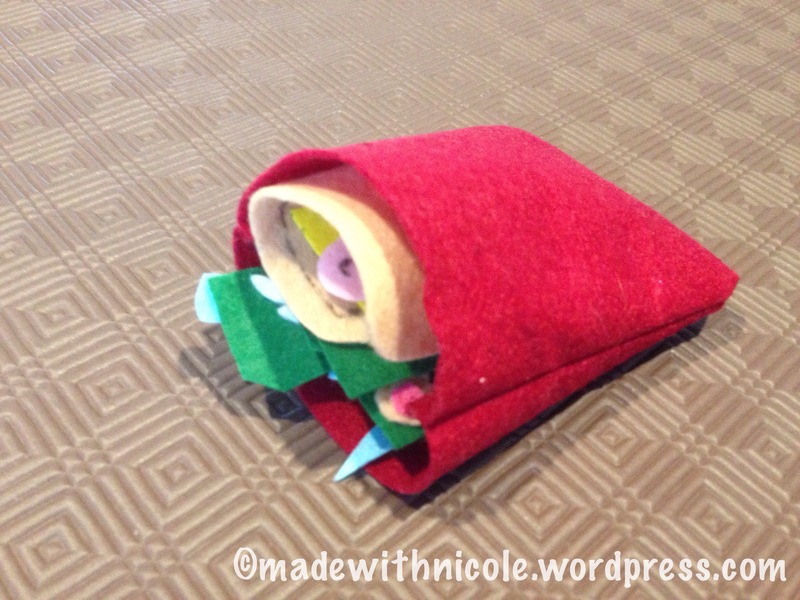 Cut a rectanglar piece of felt and fold it in half. Stitch down 2 sides starting from the folded edge. Turn the felt inside out and you have the pocket. Kids could easily make this. Cut out the egg. Make sure it will fit in the pocket. 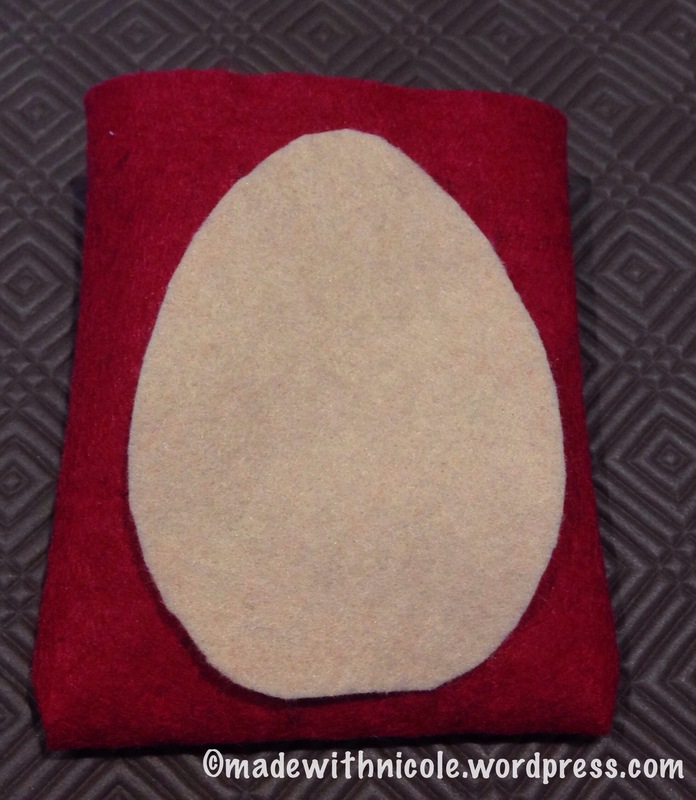 Using the egg as a template, cut a matching egg out of each different colour felt. Cut the coloured eggs up in different patterns to make the ‘egg decorations’. 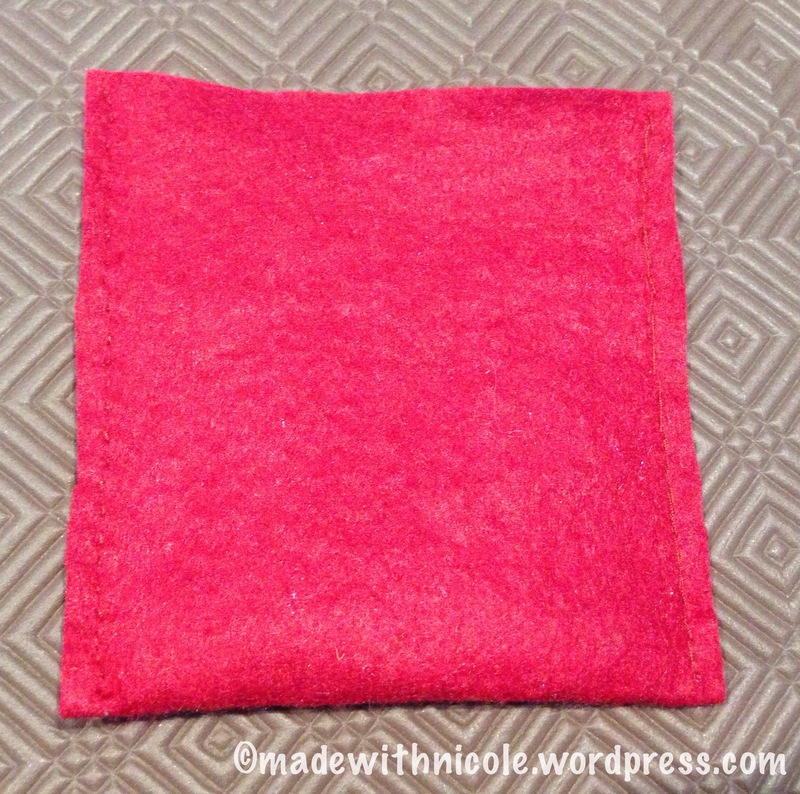 Cut out the backing piece of felt – make sure it will fit in the pocket. 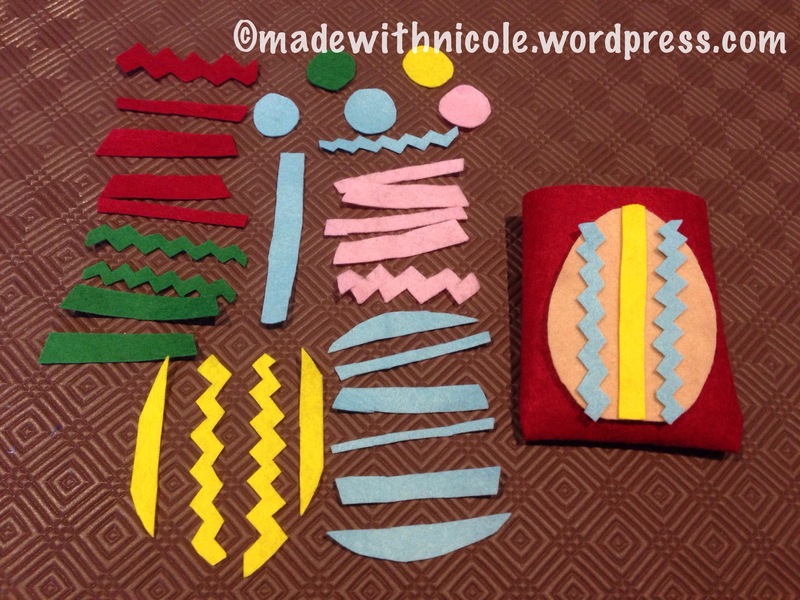 Cut out 5 shapes from the remaining coloured felt. Make sure they will all fit on the backing piece. Cut a button hole slit in each shape – make sure the buttons will just fit through. Draw eyes and mouths on each shape. Lay the shapes on the backing piece, carefully open the button hole and draw a dot where the button will be attached to the backing piece. Stitch on all of the buttons. Button the shapes to the backing piece and carefully draw around the edge of each shape. 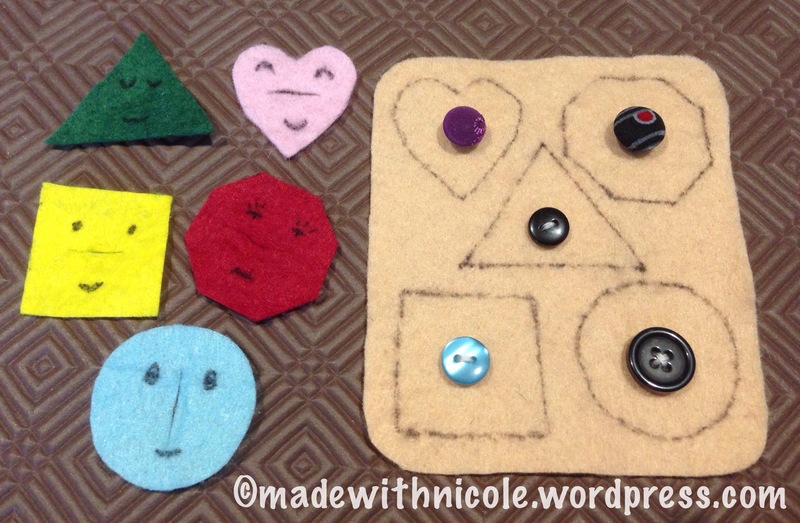 Design your puzzle and cut out the pieces from felt. Decide where the cuts will be to make the puzzle pieces. Try to avoid having to cut up any tiny pieces. 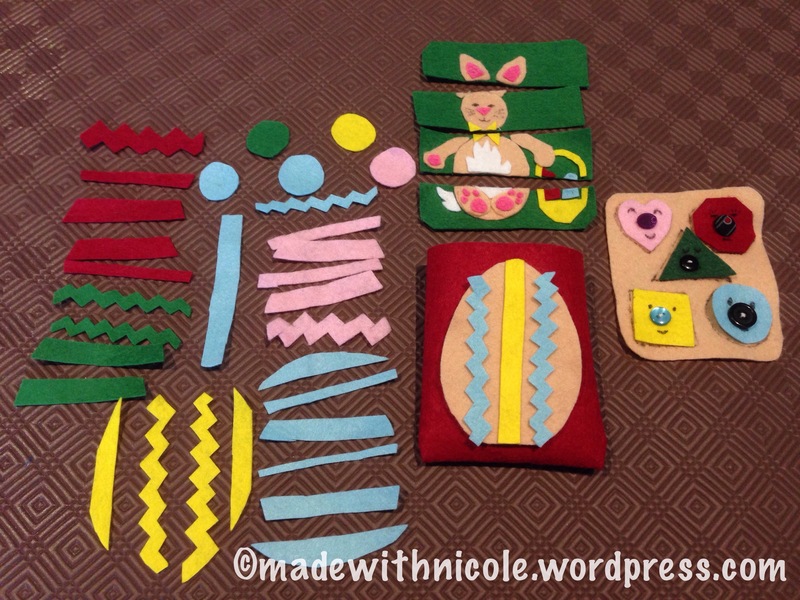 It is difficult to sew through more than 2 layers of felt. If you have parts which have more than 2 layers stitch these together now. Such as the paw pads of the bunny. Glue together all of the pieces and let it dry. I used tacky glue. Cut your picture into the puzzle pieces. 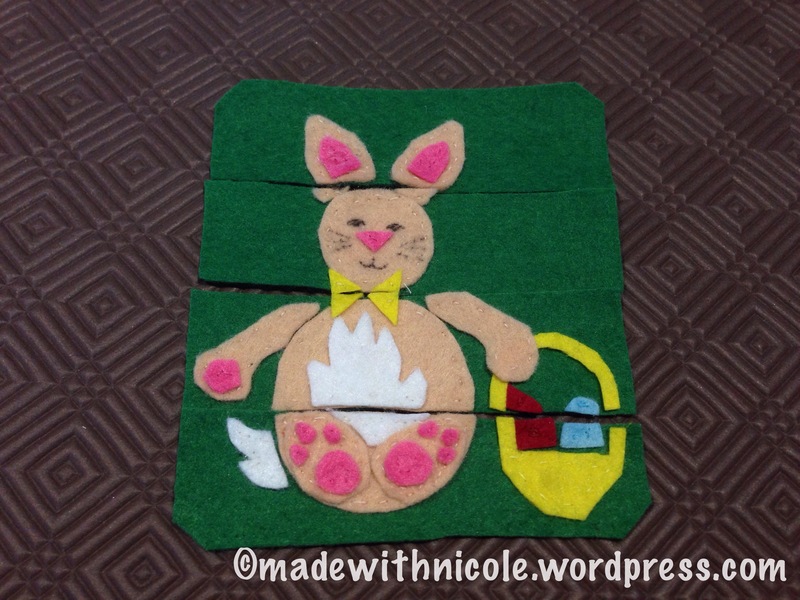 Stitch around each part of the picture to secure the felt. A small sharp needle works best. I stitched mine by hand, it would be easier and much faster to use a sewing machine.